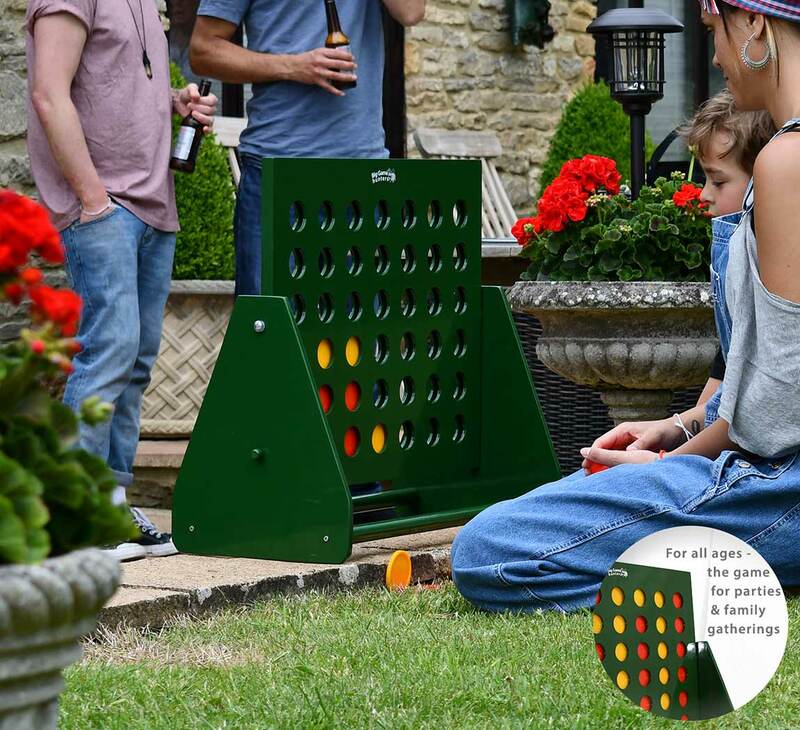 The Maxi 4 is a large version of this great classic game so can be played inside or out. 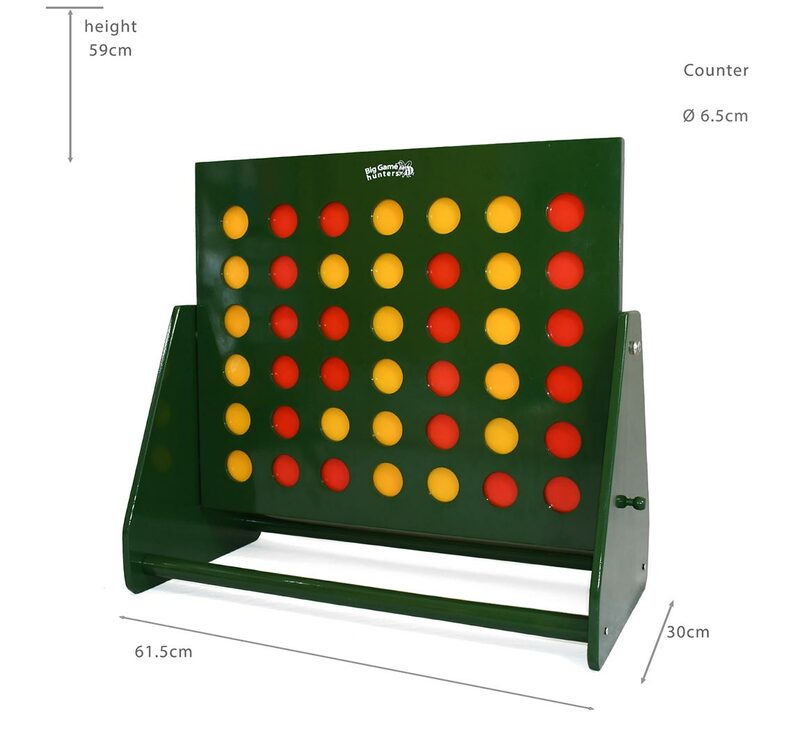 Standing 58.5cm high this game is perfect for players of all ages. 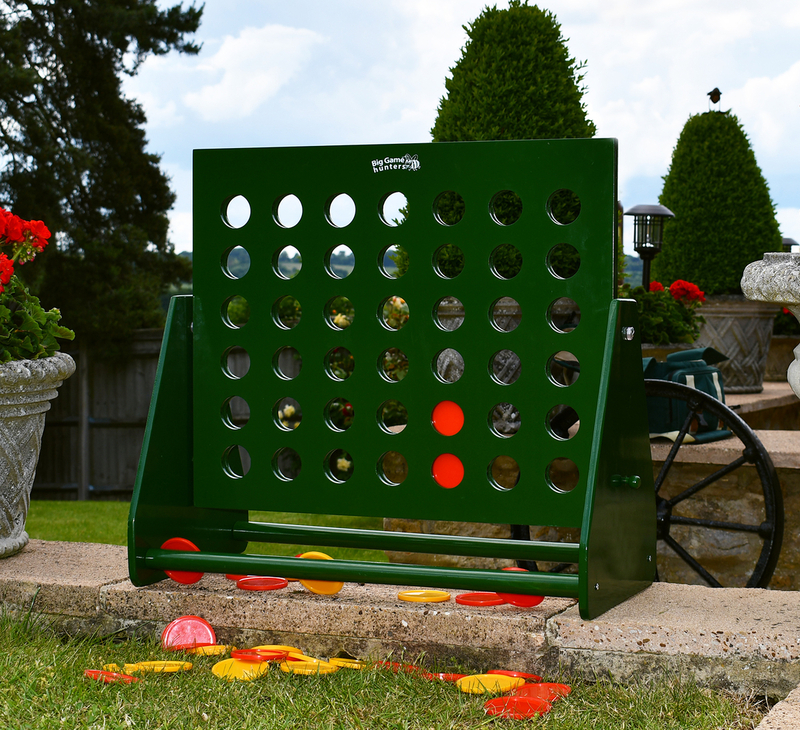 Strategy and skill are needed as you slot the discs in the top of the frame and try to score 4 in a row. This can be either diagonally, horizontally or vertically. At the same time as trying to get 4 in a row you need to block your component from scoring. 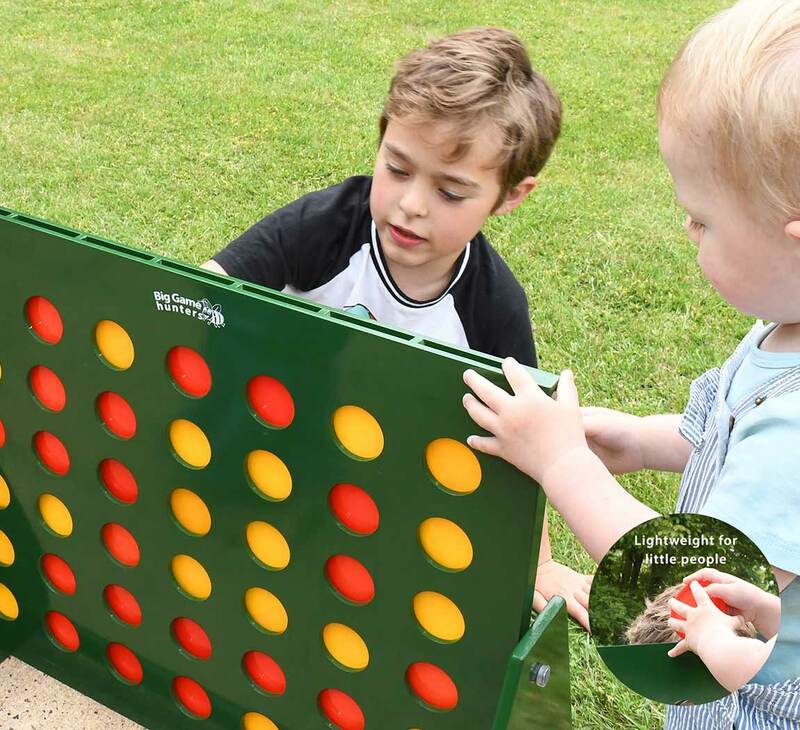 The two wooden pegs are able to be removed when a game is over in order to empty the frame by simply flipping it over. 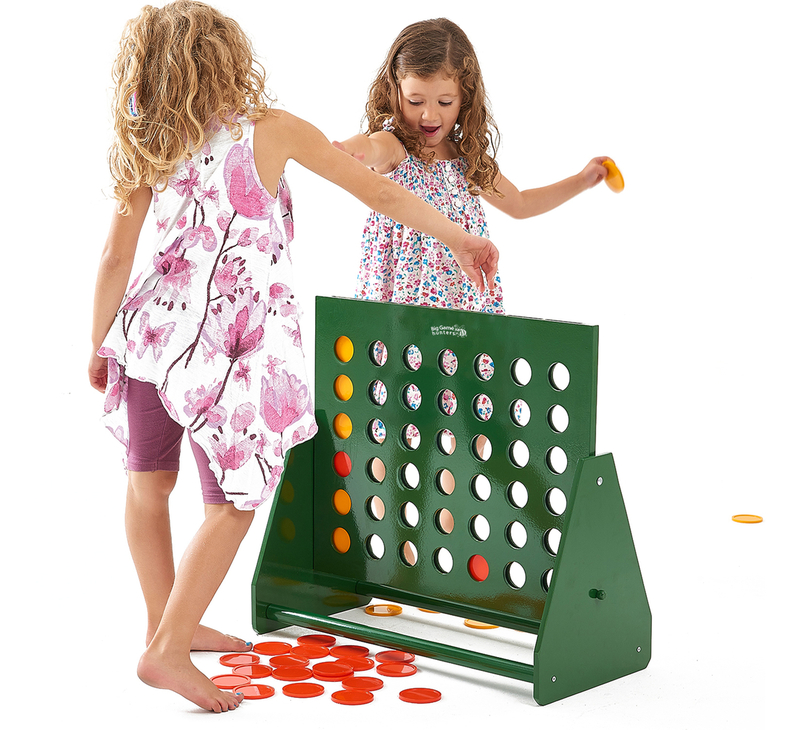 This game is a durable wooden frame which is painted green with solid plastic red and yellow counters.